Explore The Royale Chulan Damansara promotions and choose a deal that will meet all your requirements for a productive and pleasurable holiday. The Royale Chulan Damansara packages can be booked direct online. Get a Superior, Deluxe, or Premier Deluxe Room by taking advantage of this promo. Late check-out until 2 pm and priority upgrade to next room category are available. No prepayment required! Book now and get instant confirmation. Meal Description: International Buffet Breakfast up to 2 people. 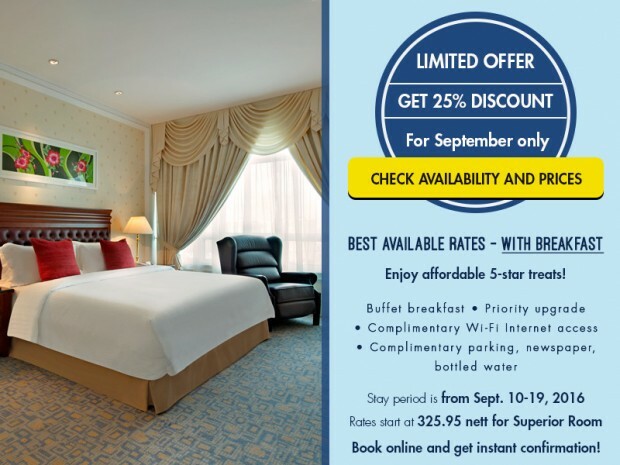 Visit The Royale Chulan Damansara for more details and to book your accommodation now!